Assistants will be given the opportunity to learn from and be mentored by a ND&MA staff. ND&MA teachers will pass on their expertise, passion for dance, and wisdom to assistants. Assistants will learn the ND&MA syllabus and revisit technique learned at a younger age to review the content. Assistants will gain knowledge of the teacher’s perspectives and learn how to approach teaching various ages, levels, and styles. Dance technique, class pace, class management, philosophies, values, and culture of ND&MA will be passed on to assistants. 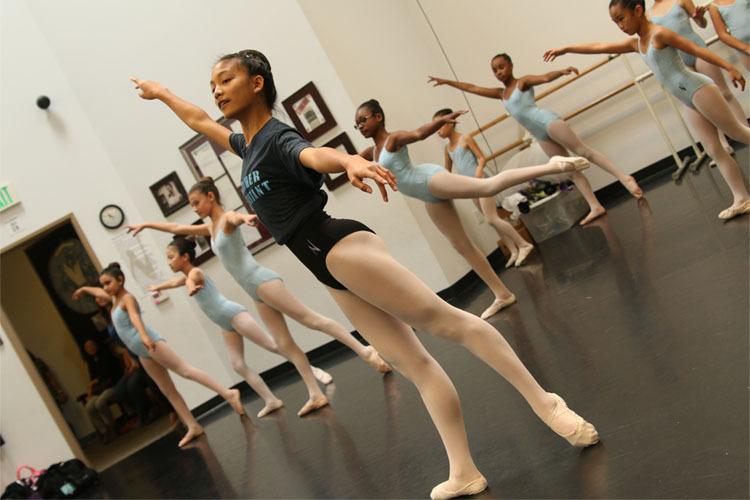 Dancer’s will learn responsibility, leadership skills, and gain respect from other dancers. Dancer’s name will be listed in the May Recital Program. Dancer will receive quarterly leadership training with ND&MA Staff. Prerequesites: -Dancer must be in Level 2B or higher in the style they are assisting. Dancer must assist the same class every week and call in advance if going to be late or absent. Dancer must be a shining example of ALL ND&MA GUIDELINES AND POLICIES. Dancer must wear ND&MA dress code at all times. Dancer must attend quarterly Teacher Assistant meetings at ND&MA.